Urban 75, Brixton Buzz and Brixton Blog are partnering to protest against Barratt Homes’ application to water down the provision of social and affordable housing, including the conversion to ‘affordable rent’ tenure of 13 social rent flats, at its new development ‘Brixton Square’, on Coldharbour Lane. While a social rent would be fixed with a secure lifetime tenancy, an ‘affordable’ rent means the tenant would pay roughly 55% of the open market rent for the local area, which is liable to go up over time. 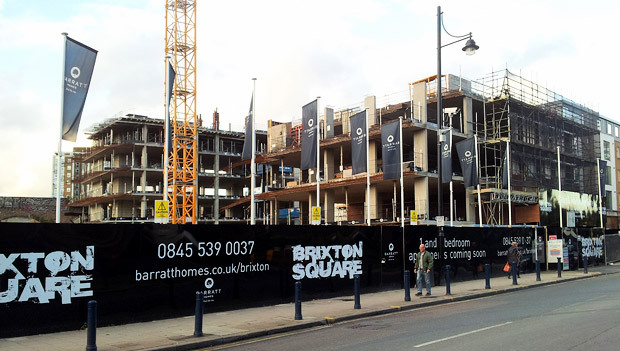 As gentrification continues apace in Brixton and property prices rise, this will make it increasingly difficult for low income tenants to live in the town centre. Affordable tenancies are also likely to mean fixed term contracts (rather than longer-term security), after which the rent can be put up again. 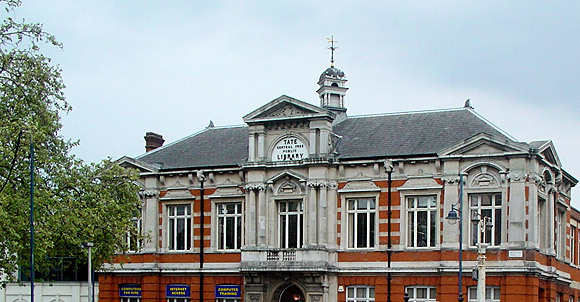 It is therefore extra important to conserve social rented properties at the heart of Brixton. Lambeth, if it allows this variation, will set a precedent for other large schemes in central Brixton in the future. Lambeth Council is in danger of allowing the demographics of central Brixton to be changed by allowing a definition of affordability in Section 106 agreements that is not in fact affordable when compared to social rented property. 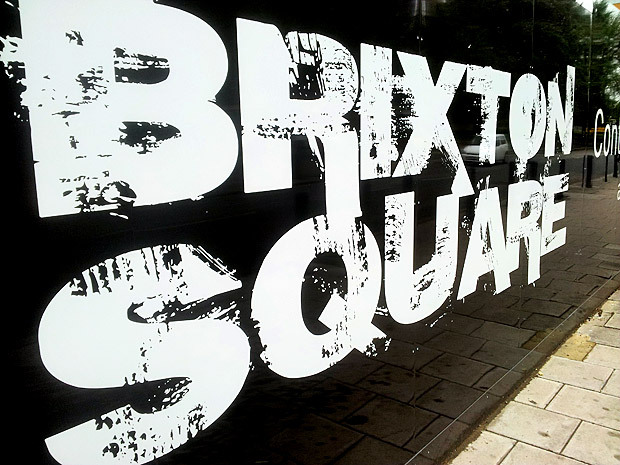 Permission was originally given to Places for People to build the ‘Brixton Square’ on the basis of having socially rented housing in 2005. Barratt Homes argue that the economic situation has changed so much it is now not possible to fulfill that promise. 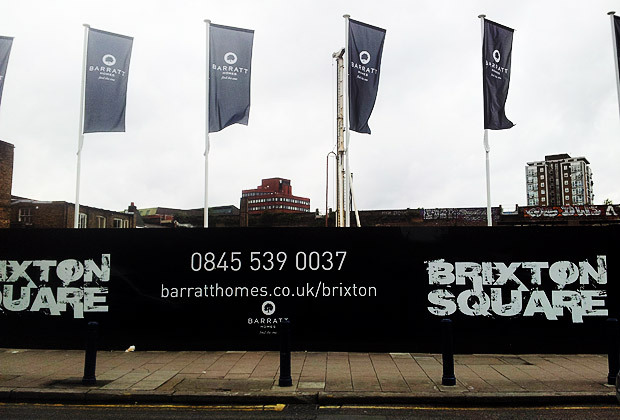 However, we note that Barratt Homes bought the site in the knowledge of the Section 106 agreement only last year (well after the 2008 crisis) and that in Brixton specifically the housing market is not deflating. We also urge the council to ensure that the provider of the rented units is a registered social landlord, as is stated in the original Section 106. The Section 106 agreement should not be changed to widen this to include affordable housing providers, which are in effect private, for-profit landlords. 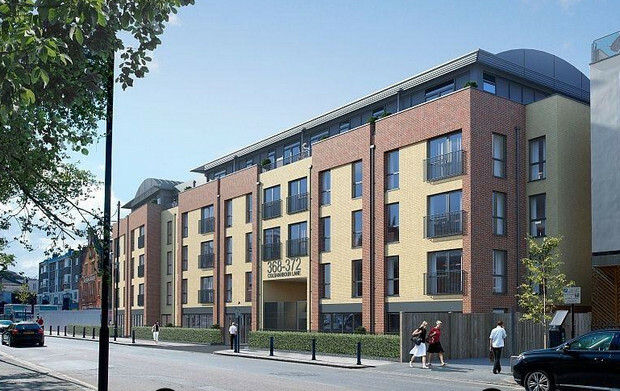 Developers like Barratt Homes claim that developments are less financially viable with social rented units included. Unlike developers, however, we are concerned more for our community than big profits, and we hope this is the case with Lambeth’s planners too. For more background to this story, please read the in-depth discussion on the urban75 forums – and get involved! iPetitions are really good and this is possibly too late but Change.org offers a really strong way to bring attention to issues. Standard petition is useful but Change;org also offer media support on the strongest campaigns and they can promote to previous petition signers of which there are millions. Worth thinking about for any future campaign Urban75, Brixton Blog and Brixton Buzz gets involved in. Keep up the good work. It’s pathetic that Barratt are trying to weasel out here. I realise there are London-specific issues here, but I bet a lot of people renting elsewhere in the UK would love to pay 55% of the open market rent. So let’s work together and fight for more people to be offered it. ‘Affordable’ tenancies are generally set at a higher rate than 55%. A social tenancy is generally 40-55% of market rate and an ‘affordable’ one is up to 80% (and they are generally set near this level). If the rents are ‘fixed’ at this level then it won’t have much impact on who gets the flats. I don’t see how setting the rents at the suggested levels improves the financial viability. It might be that they just need to change the name to allow an affordable housing provider the chance to provide these homes as opposed to an RSL. Also, social rents are not necessarily set for a lifetime, they are allowed to increase at a faster rate than inflation.